A reliable survival knife is worth more than a hundred low-quality knives. When you are outside, you will always need a knife to survive. A reliable survival knife is worth more than a hundred low-quality knives. When you are outside, you will always need a knife to survive. At Prepz.nl we know how important it is to have a good quality knife. We have selected some of the best in the market. The knives are of great quality. Some knives can also be used as a multitool. With its 32.5cm, the green 101inc D80 knife is an impressive knife to see and hold. The knife has two sides, one for cutting and one for carving. The D80 is quite large but nice an all-around survival knife. For example, the knife can be used for cutting, sawing and as a bayonet. Included is a hard plastic cover that can easily be attached to a backpack. The camouflage Fosco Survival knife has a total length of 28 centimeters and has a secret storage compartment in the handle. In the box, you will find a survival kit with matches, fishing line, fishing hook, fishing lead and needles. The Fosco Knife allows for cutting, making fire, and making light all in one. This handy knife is also a firestarter and a flashlight, perfect for campers and trekkers. If you love being in the outdoors, you must have this 101inc Combat Knife that provides several uses. It contains matches, fishing rod, fishing hook, needle and thread, and a compass. This Fosco Machete can be used in different ways including chopping, cutting, splitting, and scraping. This metal cutter comes with a polyester cover and has a total length of 50 cm. The 101inc DA35 Pocketknife is a strong and razor-sharp knife that is very suitable for bushcraft and survival. Because of the size of the handle of this knife (12.5 cm), it is very good in a somewhat larger hand. 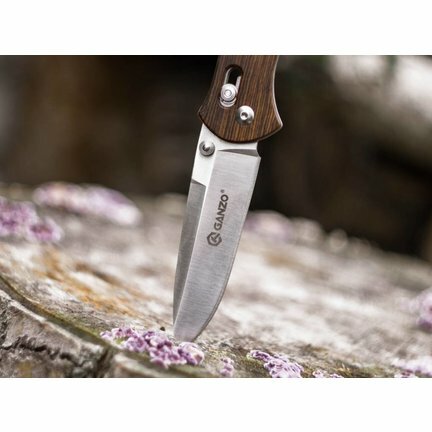 The Fosco Pocket Knife feels good in the hand with a blade that is almost the same size as the handle. The metal clip makes the knife easy to carry on your pants or bag. This Fosco Machete can be used in different ways including chopping, cutting, splitting, and scraping. This metal cutter comes with a polyester cover and has a total length of 58 cm. This small but sharp Fosco ax is made of black hard anodized stainless steel. The handle has anti-slip rubber and is comfortable in your hands when gripped. The ax comes with a nice Cordura case.